Author: Subject: Bike Engined Chinq? Building: Nowt. She's on the road! I really want to build a bike engined rear wheel drive old style mini, but good mini's are fetching big money at the moment. On our drive is a Sorn'ed Fiat Chinq, see where I'm going on this one? Website under construction. Help greatfully received as I don't really know what I'm doing! "If a man says something in the woods and there are no women there, is he still wrong?" Are you a Mac user or a retard? 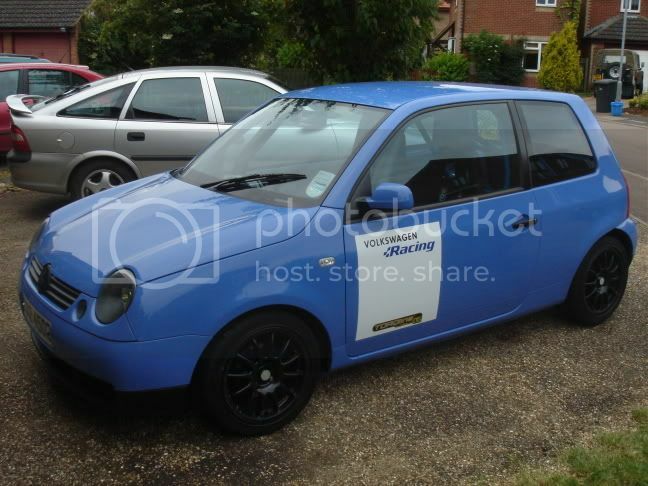 have to say a seicento would be better, i cant imagine a sorned chinq having particularly tidy bodywork?! Id want the finished product to be very nice and shiny. Building: Finished MK Indy Pinto 2.0 - SOLD! I think it'd make a nice street sleeper, ok so maybe it might not be the tidiest car but that means you can concentrate on just getting it finished quickly and cheaply and treat it as a learning experience for when you can get hold of a cheap mini. A Chinq (I Can't spell it either!) would be great. My Missus had the Sporting version & it handled like a go-kart. It was easily as much fun as some of the other cars I've had including Beemers, Jags Porsche etc. I had a Fiat Strada Abarth once & it was a real Q car. The Chinq was almost as good as that. Excellent Choice! Women only want you for one thing- everything! Anything that can hit 60 in around 4 seconds gets my respect! Especially if people aren't expecting it! The bodywork isn't great but I don't care! Just means I'll never feel like I have to wash and polish it, just drive it! So, how on earth would I go about it? A cing would be great. Theres was one in a mag with a cossie lump in the back. $00bhp or summit silly. This it was ppc or something. Built the purple peril!! Let the modifications begin!! Someone, somewhere, not a million miles from me, is building a Cinq with a 3ltr V6 Alfa in the boot. 1. Take the pissy engine out the front, put in skip. 2. Chop the boot floor and back seat out. 3. Weld in new roll cage and subframe thingy. 4. Fit great big Alfa engine in, complete with gearbox and driveshafts. 5. Bodge the rest, you'll be fine. You'll have to do some serious work to the handling. I nearly binned one years ago on a windy NSL road because I couldn't pull out of the camber doing 40 where my clio would have done 70+ without trouble! Cheers guys. I'm sure I can build it, I built the Avon after all! What engine would you guys suggest (good value for power). What diff could I use? Locost style if possible! I looked at a lot of bike engines at one point and my favourite was the R1 - powerful, light and relatively cheap. A mate of mine is actually doing this, putting an R1 into a sporting Chinq, again it was for the reasons you describe, everyone's doing the mini thing and they cost a packet anyhow! His Chinq cost £400 and is a very tidy wee car, runs well and not a spot of rust anywhere. He hasn't got very far AFAIK he still hasn't stripped the Chinq yet. I also had the first R1 mini on the road and it took me ages to find a decent shell and it still went rusty after a year !!!!! I got blown away by a yellow Chinq with a bike engine in it a coulpe of years ago. I was in a 1.6 focus and probably looking to overtake in 3rd doing about 40 and as i pulled out he left me on the wrong side of the road! I wound the window down and it was just revving too high to be a car engine and when i met him at the next roundabout he pulled away and the back end was squirming about. I have an AVI on my home PC that is a Smart car R1. That is quick off the mark. aww bless, i love 500's. i saw the fibreglass kit moulds at newark this year and thought that'd be a great project. dont think i'd ever fit in one though! hello all, I have been pointed in your direction by Malc at Yorkshire Engines, from whom i recenlty bought a ZX12r engine for my little project. I'm building a rear engined VW Lupo. The car is currently stripped back to the bare essentials to allow me to drive it, its fitted with a rollcage and i have all of the plans ready to cut the back out of the car and fit the spaceframe and engine. It should be very light and look fairly standard until i let the engine stretch its legs! I have found the site very informative, thanks for that! LocostBuilders » Forum » BEC » Bike Engined Chinq?